Get ready for a fun craft and entertaining activity. Have your Thanksgiving guests make these adorable paper puppets for a fun activity and then put on a puppet show about being thankful. 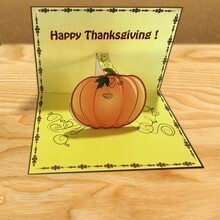 Print the Thanksgiving paper puppets on card stock paper. 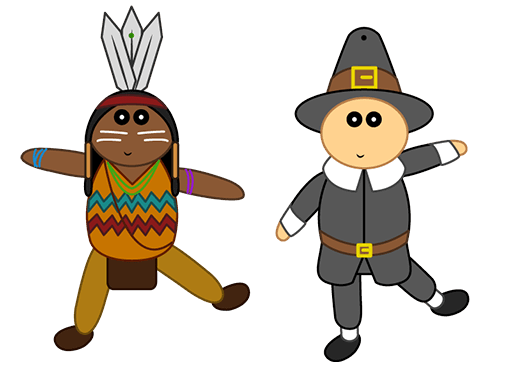 Cut out the Indian and Pilgrim design pieces. With small sized brads, poke through the marked holes to put the Indian and Pilgrim together. Once the Indian and Pilgrim are assembled your puppet is ready or punch out the hole near the top of each of their hats and put a string through to hang as a decoration. My granddaughter was sick and spent the day with me and we loved this site.